We are in the building in the back (Building B). For exact directions to our office, please input your address and the map will generate a map for you, with directions, turns, estimated time of arrival, etc. After you take the Argonne Rd exit from I-90 and you head south, you will want to pass two traffic lights. We are towards the middle of the block (on your right) after the second light. 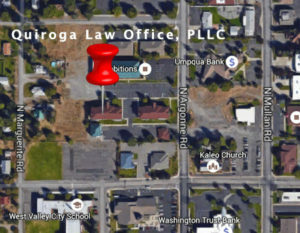 It is important to note that our Spokane immigration law office can be reached from Argonne Rd. Argonne Rd., heads south, while Mulan heads north. They are one way streets. Our signs can be seen from the street. We are towards the middle of the block on your right as you drive down. Our building is more towards the back of the parking lot (building B). There is ample free parking on both sides of the building. As you come in the building, go straight past the elevators and the bathrooms. You will see our office right in front of you. If at any point on time you need directions, please let us know and we will guide you to our office. the best way to do this is by calling our office at (509) 927-3840. 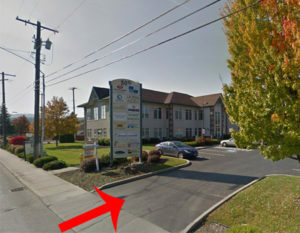 Our staff will be more than happy to give you directions and to guide you to our office. 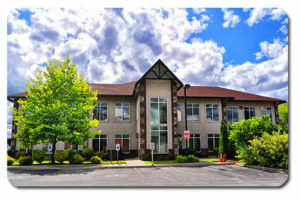 You should not have any issues finding our office; however, if you are driving from a different city, we understand that driving around Spokane may be challenging. Visit our reviews and testimonials page.